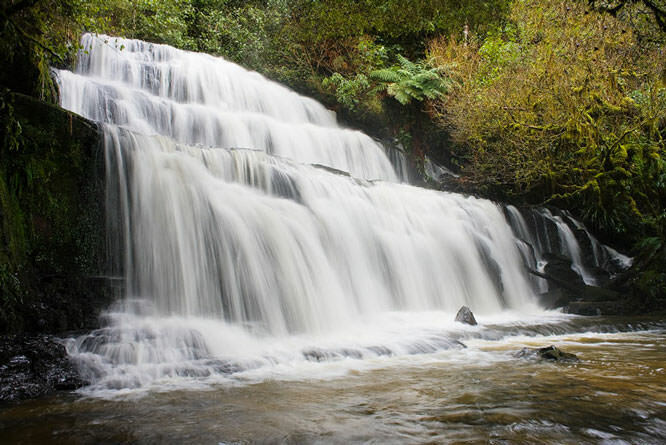 Wondering what shutter speed will give you the best waterfall image? Have a read of this. When capturing waterfalls you can make water appear as if it's frozen in time so every splash and droplet is captured in frame or you can go to the opposite end of the scale and smooth the flow of water out into almost a dry-ice, cloud-like texture. 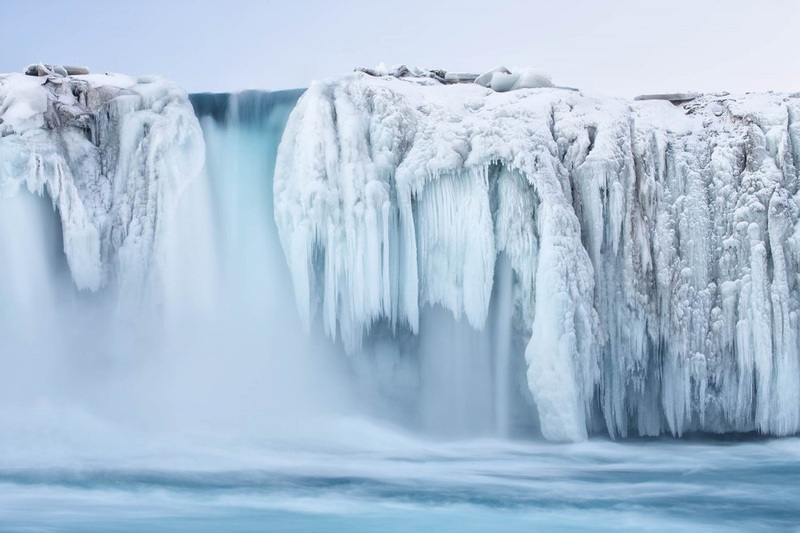 At this time of year there's the added option of capturing frozen shapes that water's created when it's splashed up over rocks and grass found at the edges of the falls, too. So, which effect should you go for and what shutter speed will you need to create it? Well generally speaking, fast shutter speeds freeze motion while slower shutter speeds exaggerate and blur it. Which you want to use will depend on the type of image you are trying to create and even though using slower shutter speeds is popular with many photographers, it doesn't mean you have to use them. Here we'll look at both forms of photography and offer tips on using each technique to create the specific style of shot. For those who haven't used Shutter Priority Mode before you can usually switch to it by turning your mode dial to the 'S' setting. How you alter the shutter speed can change from camera-to-camera so it's best to look in your camera's manual before heading out with all of your gear. Switching to shutter-priority will allow you to control the length of the time the shutter is open for. If you're capturing a fall where the flow of water is quite rapid and you don't want to loose the sense of motion, try using a fast shutter speed. If you're working in aperture priority you can set a wide aperture (f/2.8 – 4) to get the quicker shutter speeds you need. You can also bump up your ISO to gain a faster shutter speed. To freeze movement you have to set a fast enough shutter speed to prevent the subject’s movement blurring as it moves across the sensor. What shutter speed you need will change depending on how fast the water is moving so experimentation is key. However, if you find the results aren't all that spectacular you'll probably prefer to use the popular slow shutter speed technique. Blurred water cascades falling over rocks are a popular photographic subject. Why? Well, love it or loathe it, it can look great in the right situation and even small cascades can look like raging torrents when captured this way. This technique will work particularly well when really cold temperatures arrive as water that hits grasses and rocks found at the side of moving water will freeze and as John Gravett has said in a previous article: "a long shutter speed will contrast the moving water with the icy margins, and a small aperture will give you a wide depth of field, ensuring front to back sharpness." 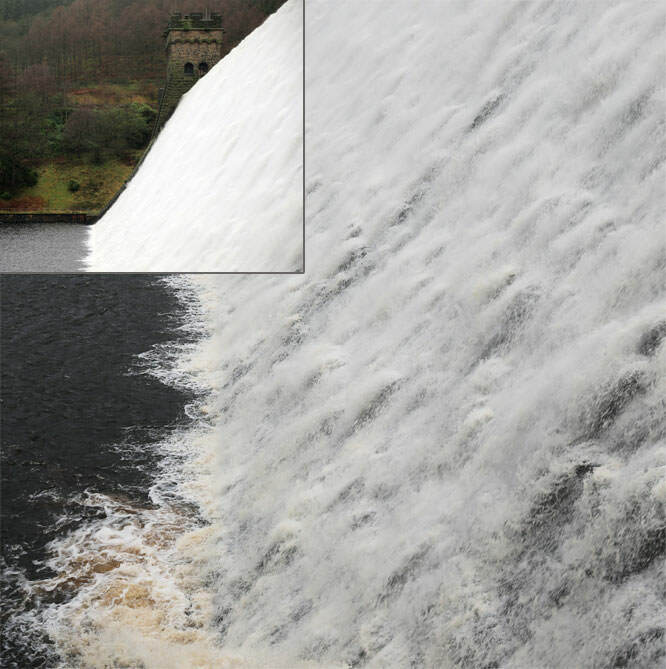 Remember though, if it's cold enough for ice, you'll need good winter clothing on to keep you warm and do be extra careful when working at the sides of rivers and waterfalls when icy patches can form on the sides you'll be standing on. You will find that early morning or late afternoon on an overcast day is the perfect time to photograph waterfalls using this particularly technique. Ice and frost is more likely to still be around during the earlier part of the day, too. If you try and shoot later in the day, particularly during sunny, summer months, bright sun stops you using slow shutter speeds and the contrast can be horrendous. Although a polariser as well as a neutral density filter are handy for cutting down the amount of light reaching the camera sensor. As mentioned above, experimentation is key when it comes to shutter speeds as the speed of the water, its volume, where you are stood and how much blur you want to create will all play a part in altering your shutter speed. However, 1/8sec to 1/15sec should be a good starting point (you should be able to create motion without losing too much texture) but if this doesn't work, change the shutter speed and take the shot again. For really milky shots, speeds as long as ten seconds could be needed. However, if areas of the water begin to overexpose (appear too bright) you'll need to fit an ND filter to use the slower speeds you want without 'blown out' areas spoiling your shot. You need to use a tripod, self-timer or a remote cable release as shots taken with longer shutter speeds are more prone to shake. Using the camera's mirror lock-up can also help with this. Take care when metering water as the large areas of light tones can fool the meter into underexposing, making the picture look dark. You'll probably find that it's worth bracketing your shot, perhaps shooting at plus and minus one stop. Unless we have a week or more of very cold weather it's unlikely an entire lake will freeze. However, do look out for icicles that have formed on or over hanging grasses and ledges. If you can, position yourself so they are set against a dark background so the icicles stand out. 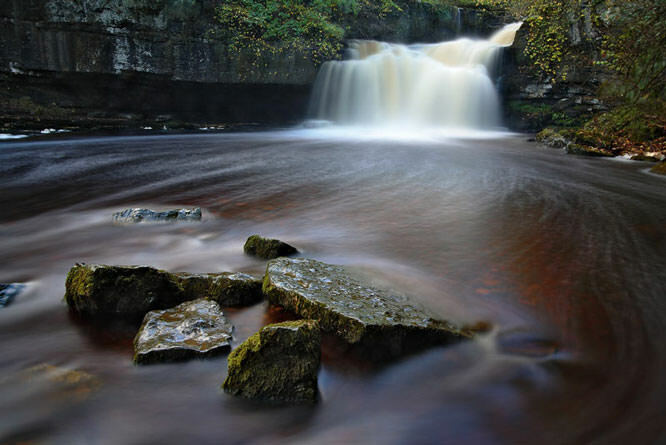 As mentioned above, create contrast with slow shutter speeds and set flowing, smooth water against frozen edges. Also, as John Gravett suggests, 'look out for crystal-like caps over rocks, icy stalagmites on grass, or chandelier-like structures on large waterfalls'. After getting a Lee Big Stopper for Chrimbo with some soft ND grad filters...............this is right up my street!